Employees can take pictures of receipts and automatically create expense claims on the go with our mobile expense app. ExpenseIt Pro makes the expense process simple for everyone. 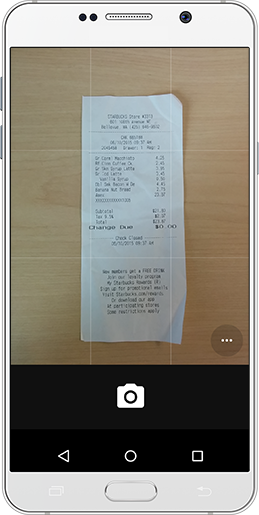 Simply snap a picture of a receipt to automatically create and itemise an expense claim, including digital images of the receipt. Make your next business trip a breeze with TripIt from Concur. Our mobile travel app organises all your travel itineraries, wherever it’s booked, to give you all trip details in one place. Get real-time alerts on flight delays and cancellations, share trip details with others and stay on track of all your reward programmes. Simply forward all your hotel, flight, car rental, taxi and restaurant confirmation emails to plans@tripit.com. 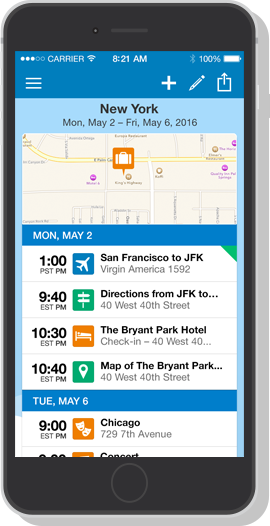 You can then view your full itinerary from any device – even while offline. It's everything you need all in one travel expense app.